There is a debate that rages on within the emergency medical services community. It centers around whether or not paramedics and emergency medical technicians (EMTs) are licensed or certified. Registered nurses and physicians are definitely licensed. Drivers are licensed. Pilots are licensed. Contractors are licensed. How about paramedics? What's the difference between a paramedic and a nurse? What about emergency medical technicians? Many states refer to paramedics and emergency medical technicians as certified rather than licensed, even though the certification is defined and granted by government bodies. Maybe the answer to this question should be: Who cares? 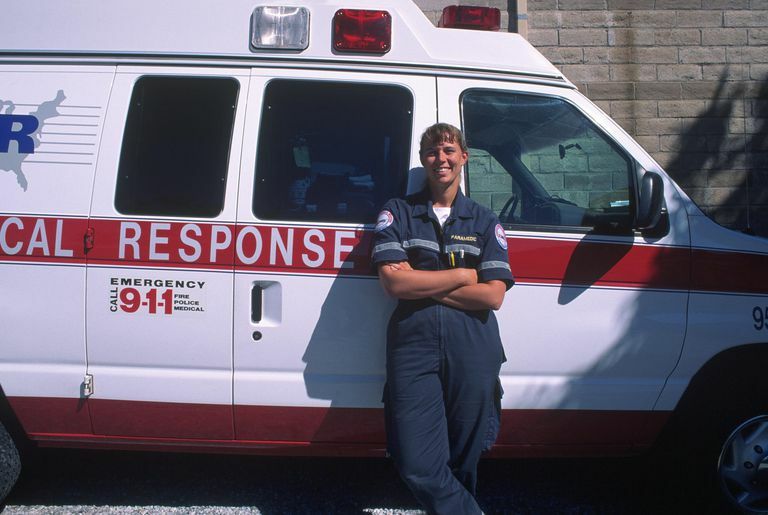 Licensure rarely makes a difference when it comes to prehospital emergency medical services. The only medical professionals who can really practice medicine are physicians. Everyone else is simply doing the bidding of the physician by following the doctor's orders. The only sort of exception to this rule is the registered nurse practitioner (RNP), and that license is not universal across all states. There is an argument that any form of endorsement by a government agency is a de facto license. I subscribe to this definition, but again, who cares? If the state says you can be a paramedic or an EMT, then you can. Whether that permission is a license or just the state certifying you to do the job doesn't change the fact that you are granted the authority to treat patients in accordance with the rules of the area in which you practice. Call it a permit or a license; regardless, it is the way for a governmental body to endorse your expertise in a particular field or practice. So, what if the endorsement is not from a government agency? In that case, it is at best a certification. There are plenty of examples of certifications in healthcare. CPR is probably the most common. In California, everyone is required to become CPR certified in order to become trained as a paramedic or an EMT. However, California doesn't provide CPR certifications or licenses. You don't need a permit to do CPR. It's not like driving a car. The reason for the CPR certification is to show that a paramedic or an EMT is up to date on all current CPR practices. It's up to the local EMS agencies to determine which group's CPR certification they will accept. The most common certifying bodies for CPR are the American Heart Association and the American Red Cross. They're not governmental and have no authority to license anyone, but they are well respected organizations. The National Registry of EMTs (NREMT) certifies EMTs and paramedics. While NREMT does not grant anyone the power to be a paramedic or an EMT, many states use NREMT certification as a proxy to determine if a person is qualified to be a licensed paramedic. California works this way. Once a paramedic has a California paramedic license, they do not have to remain certified by NREMT. However, licensed California paramedics have to become accredited in the local jurisdictions where they want to practice. State licensure with local accreditation is a system unique to California and creates quite a bit of confusion for paramedics transporting and treating patients over long distances. Washington doesn't have a common state license, but does certify paramedics regionally and runs into similar issues. In many states, an emergency medical technician is certified while a paramedic is licensed, but paramedics still might have "EMT" in their title, adding to the confusion. Some states and the NREMT have begun to separate the two titles. The NREMT now certifies paramedics as RP or "Registered Paramedics" and does not use EMT in the paramedic title. All the differences make it difficult for EMTs and paramedics to move from state to state. Many states grant reciprocity to other states or use certification by the NREMT as the gold standard for transferring from one state to another. Others do not grant reciprocity at all or allow local medical directors the authority to decide, which could force an already trained and licensed paramedic to start all over again when relocating to a new home. In the end, all the fuss about licenses or certifications doesn't matter. A paramedic or an EMT is going to save your life when the time comes. They're likely to use the same skills in a state where they are certified as they would in a state where they are licensed. In many ways, it's just an issue of respect, and one not really worth fretting over.